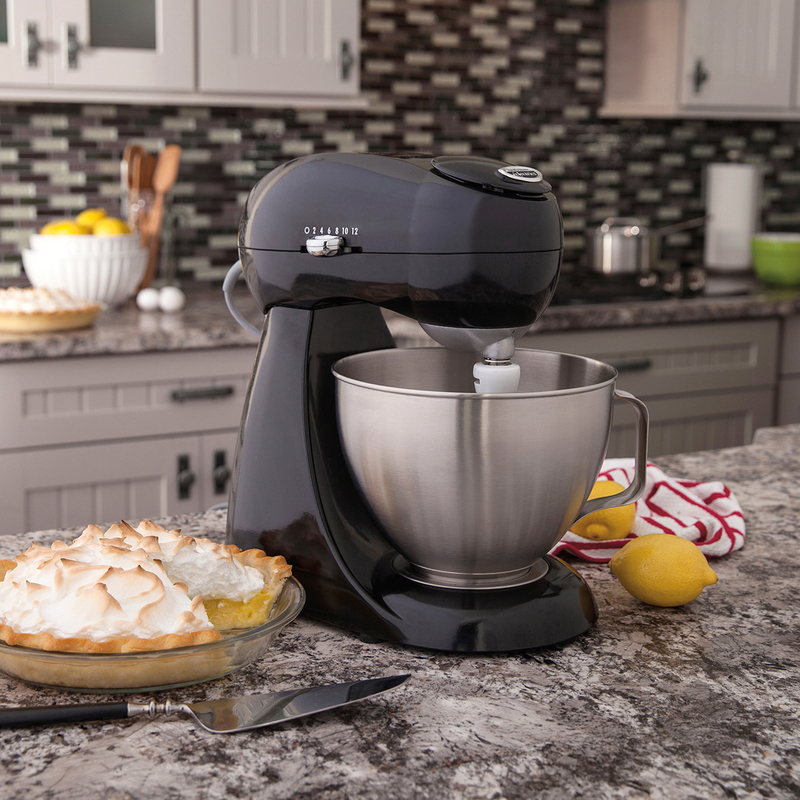 The Eclectrics Stand Mixer in Licorice fuses all-metal durability with a history of mixing expertise everyone respects. It’s designed for hands-free mixing for a wide variety of food, ranging from light and airy egg whites to sticky bread dough. 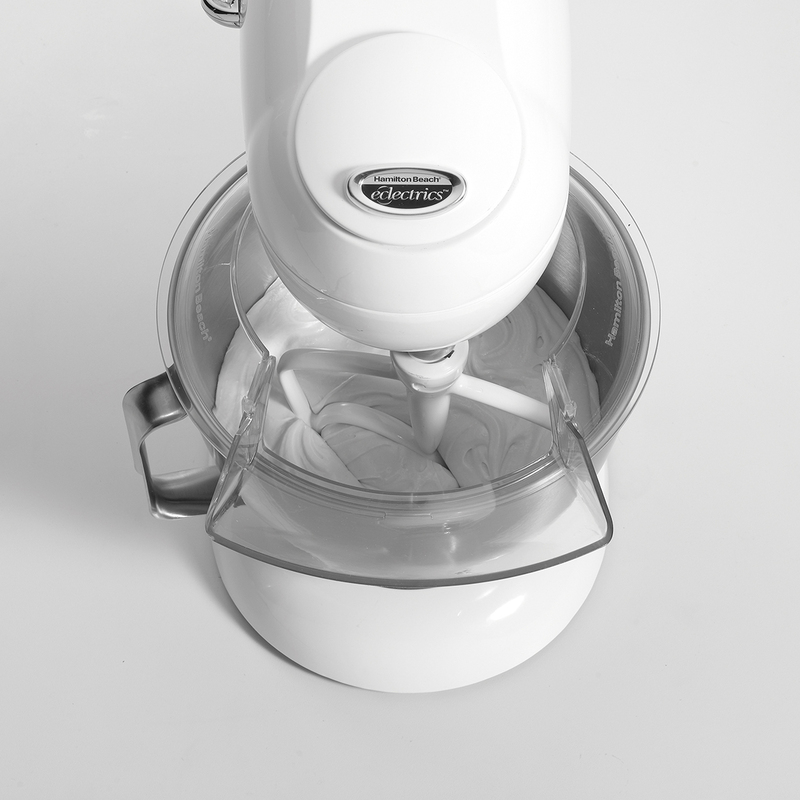 A powerful 400 Watt motor works well for everyday mixing and can handle the thickest cookie dough. Planetary mixing action gives complete bowl coverage — the mixing head spins as it rotates completely inside the bowl, allowing better mixing than traditional 2-beater stand mixers. There’s no need to stop and scrape ingredients from the side of the bowl. 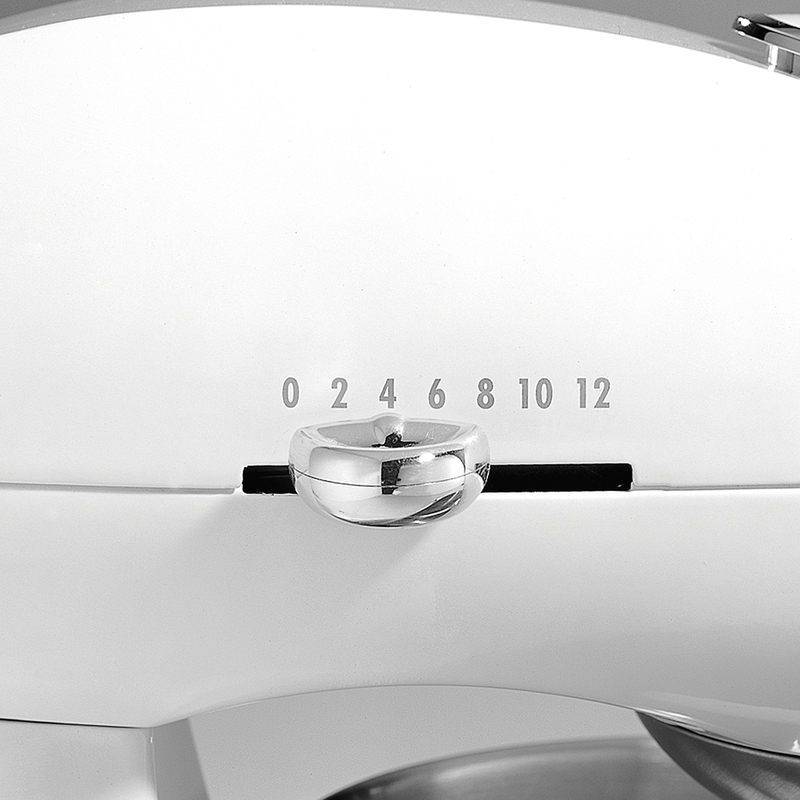 Twelve settings give you maximum versatility and precise control at every speed. Adding ingredients while preparing a recipe is easy; the head tilts up out of the way for bowl access or you can use the pouring shield to add ingredients. Nonslip feet keep the mixer still while in use, and the splatter shield guards against drips and spills. Attachments include a non-stick flat beater, dough hook and whisk. All attachments, as well as the stainless steel 4.5 quart mixing bowl, are dishwasher safe for fast cleanup. Easily add ingredients and avoid a mess with the two-piece clear pouring/splatter shield that guards against drips and spills. Use the shield when making thin batters or mixtures that will splash. All the attachments, bowl, and pouring/splatter shield are dishwasher safe. 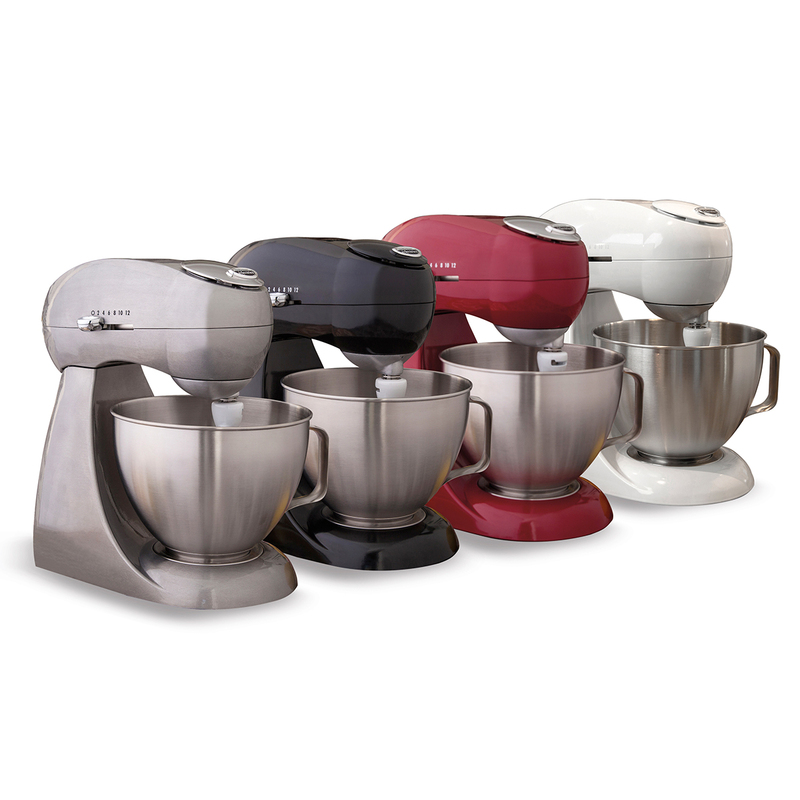 Each mixer is hand finished, then covered with a protective coating to prevent fingerprints and unsightly smudges. The exterior is easily wiped clean with a damp cloth. Planetary mixing action means the mixing head orbits around the bowl as the beater rotates in the opposite direction for thorough hands-free mixing of ingredients. This maximizes contact between the bowl and attachment, ensuring complete bowl coverage and better mixing than stand mixers with two beaters. Save time with this mixer, as there is no need to stop and scrape ingredients from the side of the bowl. This mixer combines the built-to-last metal construction of the past with the look of today to bring lasting quality and style to your kitchen. High-performance electronics provide constant power for consistent mixing at any speed. 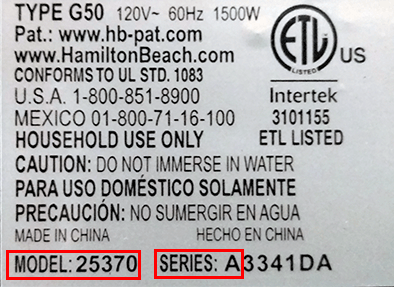 Enjoy the confidence you have in a product backed by years of experience and a 3-year warranty. Fill your home with the delicious aroma of homemade recipes this appliance helps you create. Three attachments offer mixing versatility to any job, from blending to whipping. Use the flat beater attachment to mix cakes, cookie dough, fudge, or potatoes. Kneading dough for bread, pizza or cinnamon rolls? Use the dough hook. 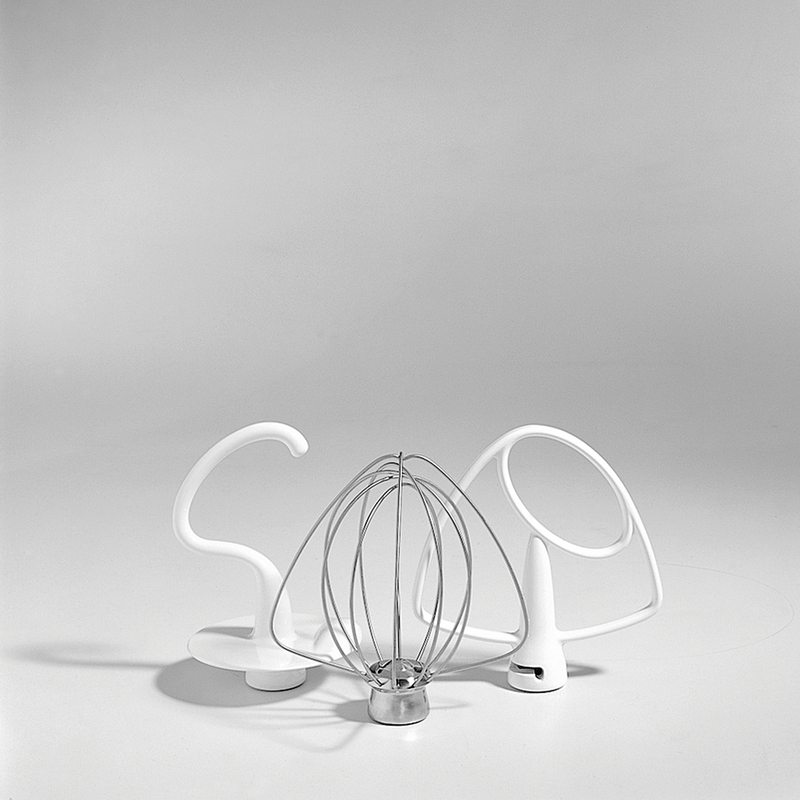 The whisk is designed to whip liquids, such as egg whites and cream. 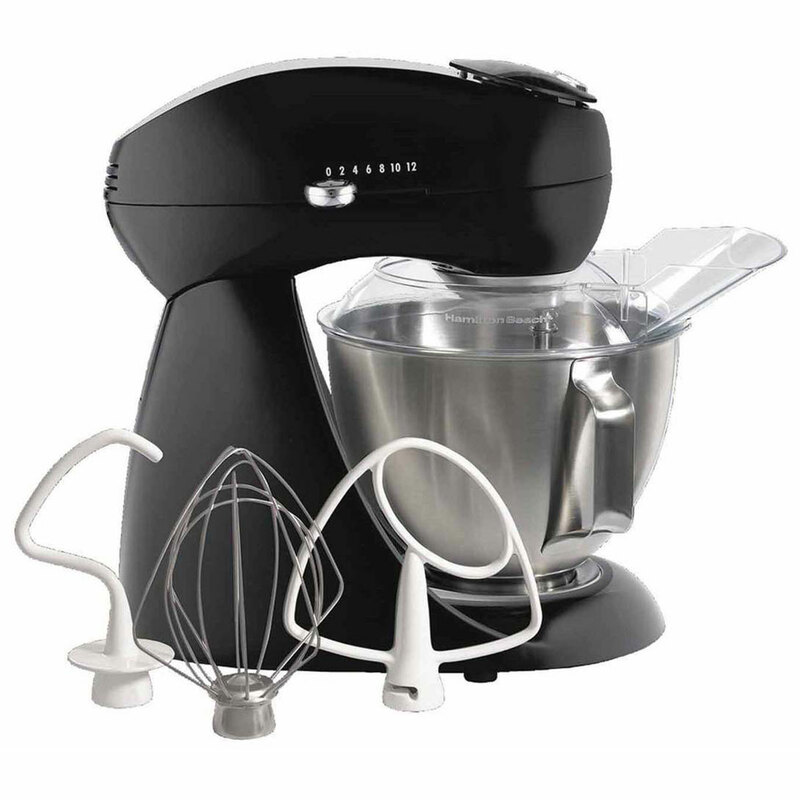 This mixer is designed to whisk a minimum of 2 large egg whites or 1 cup of cream. With this minimum amount in the bowl, the tip of the whisk is immersed in the liquid, allowing for enhanced mixer performance. All three attachments are easily secured to the shaft with a simple twist.